I just posted links to all my clippings here. Most of them are at newspapers.com, so if you click the link in the heading you will go to a better image that you can enlarge. The small ones can be printed; the larger ones are a pain no matter what I’ve tried. A few of them are just scans of clippings or photocopies people have given me (no links), and I have no information on dates or publications. I have uploaded slightly revised versions of the following histories and updated the links below. Barrows. Added photo credits in a couple of places. Næss. Fixed typos in several places. Updated the section on John Gormley with the birth and immigration information provided in his naturalization paperwork. Spencer. Added information on Jacob Spencer’s second wife. Added some text in the John and David Lewis sections about farming in Victorian times. Added the date and cause of death of Joseph and Mary Ann Spencer’s daughter Louisa. After years of collecting information, months of writing, and minutes of uploading, I now present histories of all the branches of my family tree. Unlike the data files I uploaded to FamilySearch and Ancestry, these are written histories in PDF format. I have tried to show our ancestors as living people using documents, records, family stories, memories, photos, excerpts from letters, newspaper stories, maps, and more. From Jacob and Hannah Spencer in Wotton-under-Edge, Gloucestershire, to Ralph and Gertrude Spencer in Oakland, Oregon. Includes James and Esther White, John and Elizabeth Lewis, and Samuel and Eleanor Watts. From the Seehawers in West Prussia in the 1800s to Rudolph and Mary Seehawer in Wisconsin. Includes John and Bridget Gormley and Charles and Alice Boesen. Shows the effect of the two world wars on the Seehawers remaining in Germany and has a section on “the Truth” (religion). From upstate New York right after the Revolutionary War to Chicago and northern Wisconsin in the twentieth century. Brief section on the Delanos. Begins with Peter Spawr and Elizabeth Messer’s arrivals in McLean County, Illinois, in 1827. Includes James and Catherine Neighbarger and John Griffith. Norwegian ancestors back to the Næs/Næss/Nes farm. When images of the parish registers for Frank Busch’s hometown in Austria became available at FamilySearch a few years ago, I was able to find him in them and trace his ancestry back. Did you know the name was spelled Pusch then? This history also contains the family history of Frank’s wife, Elizabeth Gerritzen. Her ancestors came from Westphalia and Hanover. Genealogy of Christian Heinrich/Henry Helms of Burdett, Kansas. What little is known about the family history of his wife, Marie Schmalgemeier, is included. They both had roots in Rahden, Westphalia. My 1964-65 school picture. The horse pin from Spain, a gift from my Aunt Flippy Barrows, is what made me start asking about my family history. I learned I didn’t have any Spanish ancestry, but Norwegian, English, and German were just as special. I started working on this in 1965, when I was 12, by quizzing my parents and writing to other relatives. I knew instinctively that I needed to get as much information as I could while they were still living and that the records would still be there when I had the time and money to travel around looking at them. Following that principle, I did travel to visit elderly aunts and to attend reunions. After getting married in the 1970s, I began quizzing his parents and aunts about their history. Of course the Internet changed everything in the late 1990s, and I have been able fill in much more of the history through sites such as FamilySearch and contacts with cousins I never knew we had. Although I’ve spent countless hours researching online, I’ve spent even more identifying the people in the unlabeled photographs I’ve been blessed to receive. It is my pleasure to share them with you in these histories; perhaps they will help you identify some of your own old photos (and perhaps you will be inspired to share scans of them with me). I am sharing these histories because I am starting to feel mortal and my husband and I do not expect to have grandchildren. I’ve seen so many people suddenly become interested in their genealogy after their elders have died. In fact, I hope you will enjoy some of the family stories you might have forgotten or never heard. These links won’t be here forever because at some point I’ll stop paying the domain fees, so please consider downloading the file or files for your branch(es) to share with your siblings, children, etc. I’ve placed a Creative Commons license on the histories. It means that you’re welcome to copy them at no charge for any noncommercial use but please give me credit. I’m not a fan of “creative nonfiction,” which is written by authors who think they need to make up things to keep history interesting. My intent with this work has been to present only facts, whether or not you find them as interesting as I do. You won’t have to wonder whether our ancestors really experienced something I’ve written about. I’m proud of my research and have a source for everything I’ve included. However, it could still be wrong and naturally is incomplete. I welcome additional information. Likewise, I don’t claim to be a designer, and Microsoft Word has to be the worst software in the world for doing this. Most of the pictures are in poor condition after a century or more of being played with by children, stored in cardboard boxes under beds, and who knows what else. The only editing I’ve done has been cropping and, in a few cases, lightening. It took me some time to find it. Long story short, I had a couple of poor quality photos from cousins so I knew what I was looking for. The problem was finding the town. It was called Neuhof, or New Farm, when it was in Germany. Now it’s in Poland and called Nowy Dwór—and there are many towns in Poland with this name, many that don’t show up on Google Maps searches. But I finally located the town and found myself moving (clicking) up the road and seeing the house as I approached! Too bad I can’t get out of the car to read the headstones. Zooming in doesn’t help (believe me, I tried!). By the way, I have seen some beautiful scenery in my “travels” along roads in Europe. I tried to find my great-great-aunt Lizzie Barrows’ boardinghouses on Wentworth in Chicago (where my grandparents lived at times), but unfortunately they’re not there any more. I’m not finished and probably never will be. I don’t have exact addresses for most of my ancestors, but I still plan to virtually explore Norway (where my grandmother lived) and the area of the Czech Republic that used to be Austria (where my grandfather-in-law lived). I’m sure I’ll think of more! All photos in this post courtesy Google Maps. My Aunt Flippy saved this letter I wrote to her asking for family history information in 1965. After 50 or so years of working on my family history (and 40 or so of working on my husband’s), I’m finally ready to share my research with the world. Really share it–not just put some of it on my website. Every individual, every source, every note. I’m motivated by the knowledge that I won’t live forever and our unmarried, childless sons are not even slightly interested in my work. Ironic that the family history nut would have only these two descendants, huh? To access my “pedigree resource files” (one for each major branch), go to FamilySearch Genealogies and search for any ancestor or (deceased) relative you have in common with me. When you click on a name and go to that person’s page, you will see a description of the file and the name of the submitter at the top so you will know whether it’s my file (look for “Laurelroots”). You will be able to click on links to move around among the generations. In general, I’ve included ancestors through our ggg-grandparents. Living persons are hidden. It was important to me to make the information available permanently and freely. None of my websites or social media accounts will be permanent. Ancestry.com and other sites like it require you to pay for a subscription to view donated files. I don’t think anyone even knows Rootsweb exists any more. That left FamilySearch. FamilySearch is free to everyone, and you don’t even have to register to search and see most of its records. And if the LDS files aren’t permanent, none are (with their granite vault and all). The downside of FamilySearch is it is so—to put it kindly—clunky. I will just say that it has taken me weeks to be able to search for and find individuals in the files I’ve uploaded. That seems to be fixed now. I had hoped to provide links to the files I’ve uploaded so family members can go straight to them. That’s impossible. Maybe it’s for the best since I can’t update the files; when I get new information I can only delete and replace them. Another problem is FamilySearch is so zealous about protecting the privacy of living persons (not a bad thing) that it completely removes them and they cannot serve as links between the deceased person and his or her ancestors. In other words, if you find a deceased person whose parent is still living, you will be at a dead end. Why don’t I just use FamilySearch’s Family Tree? I tried. I just don’t have the patience and tolerance necessary to deal with it. I did spend many hours laboriously adding information there. Then Family Tree dangled “possible duplicate” links in front of stupid users, and they erroneously merged individuals I’d worked on into their individuals (some of whom were totally different people and many of whom had incomplete or incorrect information). When you merge someone with photos attached into someone else, the person with the photos attached is deleted and the photos are orphaned (to be found only in a search of Memories). It’s too stressful for me. Now that I can finally cross this off my list (huge sigh), I am moving on to writing out all the memories I’ve collected from relatives over the years. I’m excited about this project because these memories become even more precious and rare after it’s too late to talk to our family members about them. My hope is to publish the memories in an electronic book at Google. It should be both permanent and free there. And there are the photos. I’ve been blessed with many old family photos. I’ve tried to share them freely over the years, but I’m now facing the same problem I did with the genealogy files. Besides being free and permanent, the site I use must allow lots of large files. I’m still looking for that. For now, my best photos are attached to individuals in FamilySearch‘s Family Tree. To see those, you have to register with FamilySearch (it’s free) and search for the individuals under Memories. I just hope it won’t take me 50 years to cross these off my list. Considering my own ancestry, that’s probably true. However, it’s hard to pinpoint. For one thing, it’s not clear how countries are designated as more or less developed. Until now, I considered all European countries well developed, but this article designates Norway as less developed. For another, how do you compare a man’s occupation in the early 1900s with his daughter’s? Elise (Næss) Barrows next to her tarpaper-wrapped house near Amberg, Wis.
John and Bridget (Sheridan) Gormley, a farmer and a servant from Ireland, arrived near the end of the potato famine in the mid 1800s. He made shoes in Massachusetts, worked on the railroad in Wisconsin and homesteaded in Nebraska. All of that had to be better than the potato famine. Joseph T. and Sarah (Lewis) Spencer, journeyman house painter and his wife from England, arrived in Chicago in 1882. He retired to Athelstane, Wis., where he intended to farm a few acres. At the end of their lives, the county took their modest home and acreage to pay for their care. Rudolph Seehawer, son of a prosperous German farmer, arrived in 1892. He married one of the Gormleys’ granddaughters in Athelstane, but he worked in Chicago to support his family. Elise (Næss) Barrows, who had never had to work because her father had a good white collar job, arrived from Norway in 1904. She worked as a maid in Chicago until she married my grandfather, a teamster from an old American family. They tried to farm cut-over timberland in northern Wisconsin (and failed), but they spent more time living with relatives in Chicago. Fast forward to the present. I don’t know all of my distant cousins, but the ones I do know, or know of, range from poor to blue collar to white collar to small business owners. Many of us have college degrees, but I don’t think anyone is a millionaire and no one is famous. Most of us work hard, so what keeps descendants of poor immigrants from moving all the way up the ladder? Is it genetics? I know it’s not intelligence or talent. Having read Malcolm Gladwell’s Outliers, I suspect it’s a combination of low expectations and lack of contacts among people in a position to pull us up. It’s true: It’s not what you know, it’s whom you know. Here’s another truth: the best things in life are free. My grandmother’s smiling in the photo above. Sure, she didn’t get rich in America, but she had her flowers and the family she loved. I’m like her, and what’s wrong with that? Every time I read my English great-great-grandfather’s obituaries, I get mad all over again—not because of what they say but because of what they don’t say. He died in Stroud, Gloucestershire, England, in 1909. A lengthy notice was published when he died, and two different newspapers published reports of the funeral. The opening paragraphs provide the basics—name (Joseph Spencer), date, place, status (“highly-esteemed tradesman”). Fine. Mr. Spencer was a native of Wotton under Edge, where he was born on the 11th May, 1833. He was married in 1857, at King’s road Chapel, Reading, by the Rev. John Aldis, and carried on business in a general st res [sic] at Cambridge for some years. He came to Stroud about 40 years ago, and he took the boot and shoe business in High street which had been carried on by Mr. Bailey. There’s more about his business and church activities. But wait—did you notice it gives the name of the reverend who married him 52 years earlier but not the name of the woman he married? Well, it does mention her near the end: “He leaves a widow . . . ” That’s it—no name. Let’s see whether his widow has a name in the funeral reports. The family mourners were Messrs. Jacob Spencer (Reading) and T. Spencer (Luton) (sons), F. Avens (son-in-law), S. Spencer, B. Spencer, J. Avens, B. Avens, R. Avens (grandsons), E. Bryant, G. Spencer, and J. E. Ashmead (nephews). Yes, his wife was still living. So was a daughter, married to Fred Avens. The sons, son-in-law, grandsons and nephews are listed but not the wife, daughter, granddaughters or nieces! Wreaths were sent by his sorrowing and loving widow; Jacob and Emma and the family at Reading, Annie and Fred and family, Mr. and Mrs. G. C. Spencer; from the officers and teachers of the Baptist Sunday School, Johnstreet; J. E. Bryant; Mr. and Mrs. E. J. Elliott and family; Musa and Addie; from the deacons of Jon-street Baptist Chapel, and from Mr. and Mrs. Hand, Bristol. In another obituary (name of newspaper not identified), a woman’s name is actually used: the organist is identified as Miss Brinkworth. I’ve learned that custom then and there prohibited my great-great-grandmother (or any women) from attending the funeral, and I assume the obituaries were written in the customary way. It’s the obituaries that really bother me—they do not acknowledge the existence of an individual who was the deceased’s partner for 52 years. She wasn’t just his widow. She was Mary Ann White, born in January 1827 in Newbury, Berkshire. At age 15 she was a servant in the home of a solicitor in Reading, and at age 24 she was a house servant in another home (source: 1841 and 1851 censuses). After she became Mrs. Joseph Spencer in 1857, she and her husband were in Cambridge village of the Slimbridge parish in Gloucestershire in the 1861 and 1871 censuses. Joseph had a shop there. Mary Ann gave birth to eight children, one of whom died at age 5. They moved to Stroud in 1877, where Joseph was a boot maker and I hope Mary Ann had a comfortable life. On Friday an old and respected inhabitant of Stroud passed away in the person of Mrs. Mary Ann Spencer, of Winchcombe Villas, Bisley Road, Stroud. The deceased has attained the great age of 92 years and was the widow of Mr. Joseph J. Spencer, who was for many years an esteemed tradesman in the town, having carried on the business of a boot and shoe manufacturer in High Street, Stroud. Like her husband, Mrs. Spencer was a faithful worker in connection with the John Street Baptist Chapel, of which she had been for many years a member, and her services at special meetings and bazaars were always willingly given and greatly appreciated. A tiny bit of progress toward respecting women was made between 1909 and 1919. Mary Ann’s daughter and a granddaughter were mentioned as mourners, but only by their married last names. Something different for Women’s History Month: a cartoon story for adults about women who have run countries. This is my great-grandmother, Karen Olea (Knudsen) Næss, in her garden in Skien, Norway. Have you ever wondered about the relatives left behind when people decided to try their chances in America? Olea was one of them. In 1904, when her daughter Elise—my grandmother—was about 18, Elise decided to come to the USA. Elise’s daughters have told me she wanted to come just because “it was the thing to do.” She had an uncle living in Chicago and joined him there. She married my grandfather in 1908. Olea missed her for the rest of her life. Elise Næss Barrows stands between her parents, Edvard and Olea Næss. The little girl is Elise’s daughter Florence. Skien, Norway, 1912. Olea was always begging her daughter to write, but for whatever reason or reasons, my grandmother rarely complied. My Aunt Florence tried to fill the gap. But, as there always is, there was more to this woman. Olea loved Elise unconditionally. She was always sending much-needed money and gifts to my grandmother’s family. My grandparents were never prosperous; my grandfather worked as a teamster when they weren’t trying to scratch out a living on a stump farm (former forest land) in northern Wisconsin in the 1920s. The family was the reverse of the stereotype of impoverished immigrants doing well in America and sending money back to the old country. My grandmother’s brother, still in Norway, died in 1910, leaving Olea and her husband Edvard with an empty nest for the next 30 years. Looking at it from that point of view, I began to sympathize with Olea. My great-grandfather died during the German occupation of Norway during World War II, which lasted from April 9, 1940, until May 8, 1945. One of Olea’s last letters (if not the last) to my Aunt Florence, dated August 10, 1945, was filled with pain. “I congratulate you as a mamma once again. You now have got another soldier to fight for America. But I heartily wish that he will not live so long as to see another war. We have had quite enough of war now. “You understand that I am still alive, though things might have been better. I think you know that Edvard died in December 1943….An organic disease of the heart makes me much trouble all the time. “I have no economical troubles. The loneliness is worse than all. I wish that one of you could come to me here in Norway, and stand here until I am gone. Please, try to do that! “Florence, dear! Ask Elise whether she can’t write to me, and tell me how she is doing…. Olea died October 10, 1945—two months after dictating this letter to a student, twelve days short of her 83rd birthday and seven years before I was born. I would have written to her. 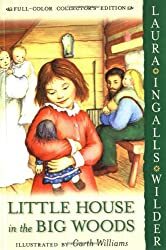 I loved Laura Ingalls Wilder books when I was a kid, long before the series was on TV. I read all the ones about Laura’s childhood but couldn’t get interested in the later ones (and haven’t tried to read them as an adult). When I learned enough about the Delano ancestors in my family tree, I was delighted to learn I was distantly related to a few famous persons: Franklin Delano Roosevelt, Ulysses S Grant and Laura Ingalls Wilder (through her father). Laura is my third cousin three times removed. My mother didn’t have any idea she and I were related to Laura, so of course she couldn’t have told me. However, I don’t remember her ever telling me she grew up in a “little house in the big woods” of Wisconsin herself and her grandmother lived in a “little house on the prairie” in Kansas. I would have enjoyed the books even more if she had. 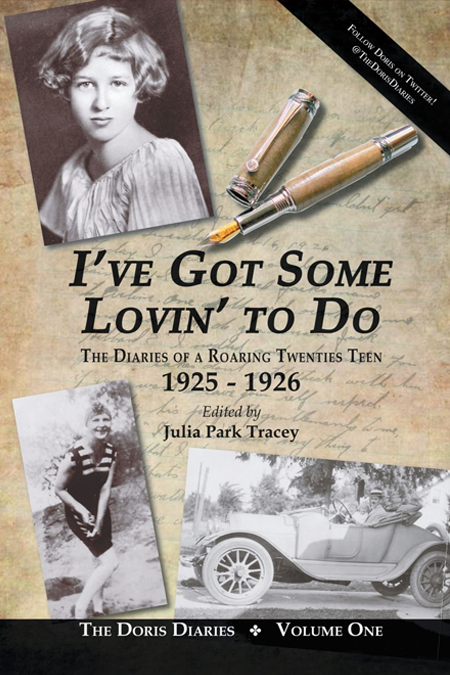 I learned about Women’s History Month from author and journalist Julia Park Tracey, who has been transcribing and publishing her great-aunt Doris’s diaries. Tracey didn’t know about the diaries until after Doris’s death at age 101. She was delighted to find how snarky, naughty and hilarious her great-aunt had been before she knew her. So far the diaries have documented Doris’s life as a teen in Portland, Ore., in the 1920s and a career woman in San Francisco in the 1930s. I’ve been following “Doris” on Twitter, where Tracey posts well-chosen excerpts from the diaries. Doris also has her own Facebook page. Check her out—you may find her as lively (and modern) as any of your living friends!